Do you ever see a picture of a hairstyle you think would look amazing on you but, when you go get it done it seems ridiculous? It is not easy to get a great haircut that not only looks good but also suits your face shape, features, as well as the length of hair you want remaining. The process of any hairstyle is much more than just getting scissors and taking an inch off around your head. When you come to our barbershop all you need to do is sit back and relax. 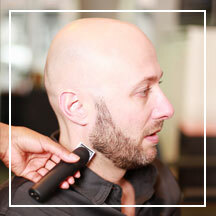 Let our friendly experts at the Ashburn Barbershop create a look that's right for you. We offer the most exceptional family haircuts in Ashburn, VA. Just think – you can have your very own personal stylist that can help you pick out a haircut that best suits your face and lifestyle. Trust our professional stylists to know what is exactly best for your look. Our staff at Ashburn Barbershop knows the different hairstyles that are trending and will know what will work for you and what doesn't for all types of men's and children's haircuts. 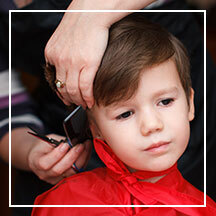 Rely on a family salon that does much more than merely cut hair. Our staff of thirteen experienced stylists specializes in everything from shampooing, hair coloring, and complete shaves, to name a few. Additionally, we offer hot towel head massages, smooth shaves, and beard trims. Contact us at Ashburn Barbershop to book an appointment today. We proudly serve Ashburn, VA and, the surrounding areas.